Melancholy settles over me every year at this time. Like a mountaineer I have to remind myself that reaching the summit is only half of the journey (Getting back home is the ultimate goal!). "Home" for me is sharing. While quiet returns to the caves, it's time to pull corks and pour - for friends, family, and fans. As in all things, Balance! Often we forget that wine is a microbiological product. 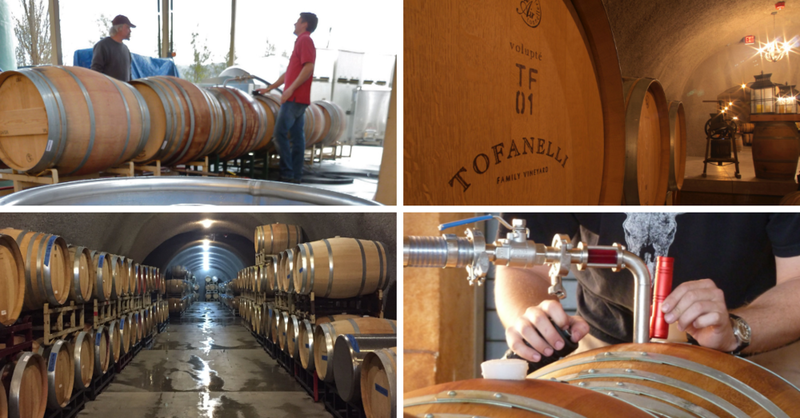 They contain all sorts of natural microorganisms that are essential to the winemaking process – like yeast. Yeasts are tiny. We can’t see them, but they do the heavy lifting to transform sweet-tasting grape juice into something much more complex – a liquid that has the potential to be profound (maybe even life-changing)! My winemaking philosophy leads me to use the naturally occurring yeast that lives in the vineyard (hello, terroir!) and a small amount of cultured yeast (predictable aromas, clean ferments). 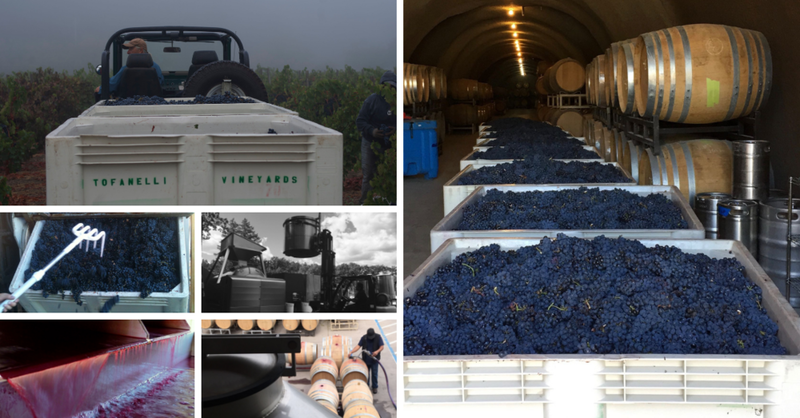 This combination gives my wines a layered complexity that speaks “Old World influence with Napa Valley intensity..."
Harvest - How do I know when it's time? In other words, “when are the grapes ripe?” Easily asked, but hard to answer! I base my decisions on the style of wine I like; full fresh flavor extraction without cooked, raisiny overtones. It’s based on a more European vision of wines that age well and pair well with food. First and foremost is how the individual berries taste. I base this on my forty years of experience making wine from the same vineyard. To back that up comes my refractometer. A cool tool to measure sugar levels. I like to calculate which rows I am sampling beforehand to help get the most accurate sample set. Then I’ll walk the rows gathering berries (and eating them, delicious!) from the shady interior and the sunny exterior. That allows my sample set to have the best lookalike representation of all of my fruit in the vineyard. With the berries gathered, I juice them by hand (fun smooshy work), and some of it goes in the refractometer and some goes to the lab for pH/acidity readings.